A bisexual Muslim, who swore allegiance to ISIS, walked into an Orlando gay club that he frequented and indiscriminately shot and killed 49 people, injuring 53 others. It was a heinous crime, the like of which we’ve never seen before in North America. 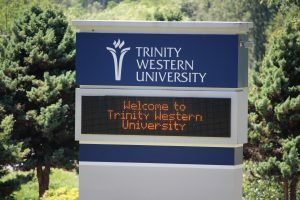 How then, based on this shooting, does one reach the conclusion that Trinity Western University, a Christian university in Langley, B.C., should not have a law school because of its religious commitment to traditional marriage? That is the nub of the recent Huffington Post piece by Elaine Craig, an assistant professor at the Schulich School of Law. She admits that the motivation of the Orlando shooter is “complicated,” but nevertheless draws a line directly from Orlando, Florida, to Langley, B.C. It is a direct and unfair juxtaposition of two very different matters, in two very different countries, that have no connection. We must unequivocally stand against any social license that would allow sexual minorities to be beaten, raped, or murdered. It is outrageous. Period. However, to suggest that a law society recognizing a graduate of TWU’s School of Law condones an environment of violence against sexual minorities simply does not follow. It is unsubstantiated fear mongering, and it is doing the very thing deemed unacceptable. That is, creating a negative environment for a minority—evangelical Christians. Craig’s message is this: Christians are so horrible, and so bigoted for having a private university that upholds traditional marriage, that they are to blame for creating an environment like that which led to the Orlando bloodbath. Christians are beaten, raped, and violently murdered because of their religious beliefs and practise in many Muslim and Hindu countries. Could we say therefore that a Canadian government that issues a license to a Muslim or Hindu school in Canada is condoning an environment of violence against Christians? It is a preposterous suggestion. The law societies have no prerogative to deny approval to a law school based solely on religious beliefs and practices. Especially when such belief and practise is not against any Canadian law or public policy and has absolutely nothing to do with the quality of the legal education. TWU, as the Supreme Court of Canada held in 2001, is not subject to, but has the protection of, the Charter and the human rights legislation in B.C. It is a Christian institution, governed by Christian norms—not the norms of the Canadian government or of Canadian society generally. Not once has there been violence against sexual minorities at TWU. Not once has there been a TWU graduate who was violent against a sexual minority. Nor has any TWU graduate in its history ever had a complaint lodged against them for such discrimination. It is unfair and unjust to make the illogical leap that Professor Craig has made, suggesting that TWU is creating an environment, “whether intentionally or inadvertently,” that would encourage Orlando-style violence. Professor Craig has every right to disagree with TWU’s policy. She does not have the right to suggest that TWU is in any way responsible for violence against sexual minorities. It is beyond the pale. Professor Craig suggests a further parallel between Orlando and TWU. Reaching into a completely different legal environment, she opines that the American second-amendment right to bear firearms is a constitutional right “run amok.” This American right allowed the killer to buy an assault rifle. Somehow, that constitutional right “run amok” is comparable to the Canadian religious freedom right that would have a public body to accredit a religious institution. There is no analogy between Orlando and TWU: the Orlando killer had a right to buy the rifle—but he did not have the right to kill and maim the club’s patrons. Unlike practicing one’s religion, killing and maiming people is not a constitutional right. No one is required to attend TWU. It is a private school. 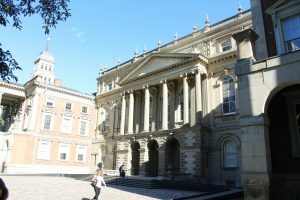 Its admissions requirements are, according to the Supreme Court of Canada, perfectly legal and are, according to the Civil Marriage Act, not against Canadian public policy. Killing people, like in Orlando, is against Canadian public policy. It’s also diametrically opposed to Christian teaching. Christians are mandated to love and respect all human beings—gay or straight, rich or poor, black or white, religious or non-religious—because they are made in the image of God. There can be no parallel here between the Orlando killer’s constitutional right to bear arms and TWU’s right to religious freedom. Professor Craig does not respect a diversity of views. It is obvious she will accept only her own view and she demands the same of the courts and the government. If we accept that government must investigate the beliefs and practices of everyone, and every institution that seeks a government license to ensure compliance with government views, what are the limits? Does it make sense to have the government ask me what my religious views and practices are on marriage when I apply for a drivers’ license? What about a license to operate a nursing home? What about the practice of accounting? Of medicine? Is the government condoning my religious views if they grant me such a license? I think not. Once government purports to control, there is no more diversity. There will be equality, though—because everyone will be mandated to have the same view. Then again, maybe it is uniformity we will have and not equality. That is far from tolerant. That is far from freedom. Thank you for opening our eyes to the hatred against Christians in Canadian society that is growing more crazy and is completely unfair, unjust, and based on malicious misinformation. Your column is well-stated. It is troubling to say the least, that some so-called educated people in Canada – and the media that publishes such poison – are so ignorant of the beauty and power of Christianity to transform life for the good of others. Don’t they know that many of the very nurses and doctors who have brought so much compassion, healing and solace to AIDS victims, for example, are Christians. The truth is this: Jesus taught people to heal, not to kill; to love, not hate; to speak the truth, and not be deceitful. So, what can we as Christians do? I think it’s what we keep doing what we always try to do. Keep speaking the truth. Keep loving, keep bringing healing. Thank you for an excellent article. I wholeheartedly agree. why can’t we learn to live like brothers and sisters despite our religious background? Great article! Craig’s attached post was also eye opening. I agree that TWU is one option that a student can choose to attend, why should all options be the same? Your point about uniformity versus equality is telling of what is to come in the future. If government is to decide or legislate morality, we are in for a wild ride. Craig’s point that hatred and bigotry against LGTBQ is the worst crime in Canada is a little far fetched, but hard to argue because crimes can be circumstantial and contextual. I wish we could just all get along, but they will not agree to disagree. Why do we have to accept the behaviour? I know many gays and lesbians, and I have never treated them any differently, as a fellow human being. But I will not and cannot condone that their behaviour is approved by God. They are some of the kindest and loving people I have met. One would rationally conclude that the LGBTQ community should be the first to support the rights of a minority group of people with unique beliefs. Or have they forgotton their own struggle with that? It’s amazing how the practice of following Christ can be twisted to show that as the very reason for the world’s problems, when rebellion against God is and has always been the root of the problem. We humans do all we can to say the problem doesn’t lie within us but rather with God, it’s a “great” way to cast blame away from us. Professor Craig would rather us believe it is morality rather than lack of morality that causes immoral acts, a strange reasoning indeed. As always…so well stated, Barry. A quick read of the Sermon on the Mount by Jesus – considered by many as the most valid Life Code ever stated in earthly time…portrays what life of the Christian is the Goal to be reached. If we ever hope to get along in this world, trying to live out these principles will be our best shot because these are the very principles of heaven. True Christians have an advantage since they are trying, hopefully, to emulate the life of Christ…the Creator and Saviour of the world… The Prince of Peace. Those who do not avail themselves of such insights have been sold a bill of goods, and are missing out on the very best! This is the double standard that we have seen for some years now that those who are accusing those of intolerance are actually intolerant themselves. Thanks Barry for keeping us abreast of this with a viewpoint that would be very unlikely to see the light of day in our often ‘intolerant’ media. The argument in this piece is very logical, but the left ideology fails to recognize or understand logic and truth. So people, it will take more than logical debate to guide social construct. It takes foundational truth teaching at a very early age so that boys and girls have something upon which to grasp when the left illogical arguments are presented against them. Sadly our pubic ed system is now controlled and inundated with ideology rather than truth and fact. And our judicial benches are polluted with left ideological judges writing their “opinions” that violate law and truth now. Sad days ahead.